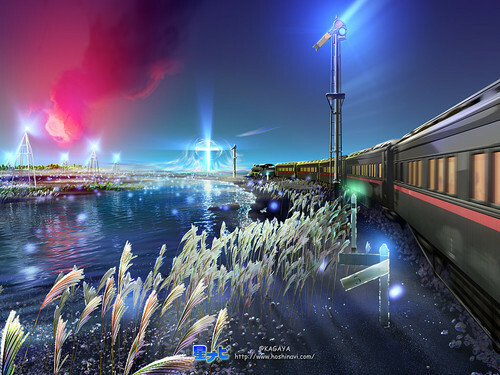 Stars in the sky. . HD Wallpaper and background images in the 白日梦 club tagged: daydreaming art fantasy stars. This 白日梦 wallpaper might contain 商务区, 市中心, 商业区, 商务区市中心, 街道, 城市风貌, 城市环境, 城市场景, 城市设置, 行车, 车道, and 行车道.